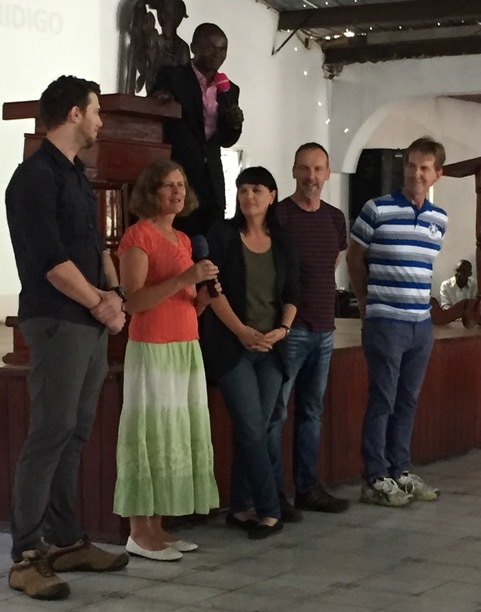 On 2 April it was good to welcome Paul & Lyndee Bakes, Brian & Vanessa and Ben to HEAL Africa Hospital after considerable issues with obtaining their visas. 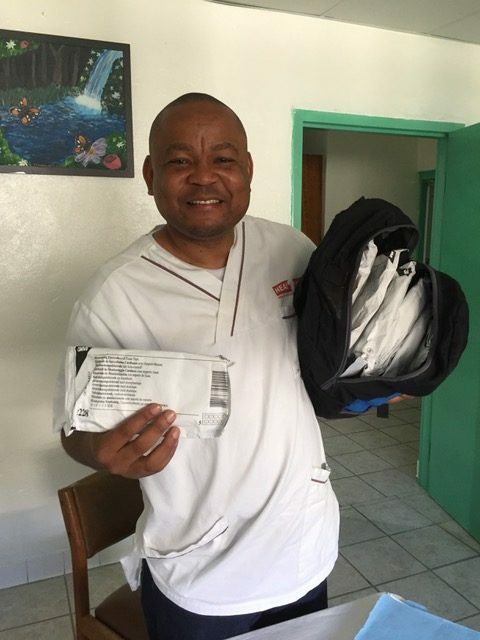 (not due to the helpful Congolese authorities but due to difficulties with a major courier company) The visas arrived about 45 minutes before team members left their homes for the Brisbane airport departure. The team has been involved in planning the site for the AusHEAL Oxygen Plant, soon to be shipped from Perth Australia to D.R.Congo. They are assessing other building projects and becoming involved in a number of community projects. Paul and Lyndee will stay on in Congo for at least a further 10 weeks as Paul assists with the IT network at the hospital and Lyndee teaches English. 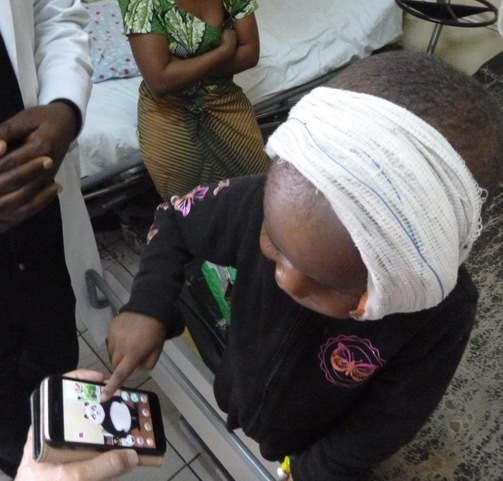 The team was able to bring over a supply of ‘ECG dots’ to use with ECG recordings and anaesthetic procedures. These were supplied though the Mater Health Service technical team and will allow for ECG tracings to be performed on equipment sent over last year by AusHEAL. Dr Muller, HEAL Africa Hospital Emergency Department Director, was delighted to receive them. Such simple things make a big difference for patient care and staff morale. 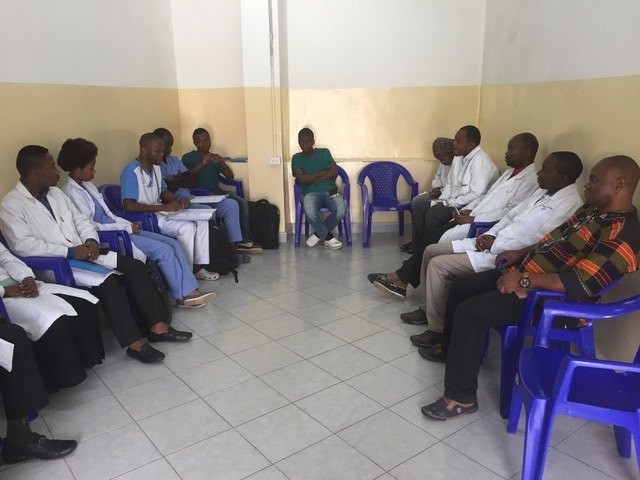 Dr Neil has continued with clinical work, in particular as one of the HAH staff general surgeons (Dr Luc) has gone on a ‘cleft lip and palate surgical outreach’ to a western province in DRCongo. Activity is ongoing at the hospital. In the last 3 weeks there have been sad cases with times of overcoming adversity. A major triumph saving a young woman referred from another health centre in Goma DRCongo, who was comatosed with life-endangering low haemoglobin (blood count) following a Caesarean section earlier that morning elsewhere. The woman’s womb had not been closed well after the caesarian section with resultant ongoing haemorrhage. Additionally, her baby had died! A 7-month old baby died from a treatable surgical condition. Specialist staff were not notified of the baby’s admission overnight. The relevant staff only became aware of this very sick baby when told by a medical student at the morning handover meeting. Urgent surgery was arranged but the baby died before an operation could be performed. None of the COSECSA surgical trainees were involved with this case. The unfortunate incident has been a significant teaching opportunity on communication essentials and protocols. In early March, a combined USA and Australian surgical team operated on a 3-year old boy removing a large facial tumour. He had previously had an eye removed for tumour. His facial reconstruction has gone well and he may go to Uganda for further treatment. The boy has however become attached to the ‘Talking Paul’ app on Dr Neil’s mobile phone. It was initially used to pacify his fears when he was about to have anaesthesia. Now on each ward round he asks Neil if he can play with it. He is such a happy character and so respectful as he hands the phone back when it is time to move on. His overall outlook is not good, but at least this brightens his day. A 25-year old woman with an unusual congenital abnormality on her left kidney. There was considerable pressure from some staff to ‘simply remove the kidney’. However, Neil was able to use this case as a teaching opportunity to sort through what the longer term consequences could be for such a young woman in a Congolese environment with only one kidney. Should the abnormal one be removed without at least an attempt to preserve it? She is still recovering from her kidney-preserving surgery and so far doing well. A 19-year old woman was referred by MSF (Médecins Sans Frontières, Doctors Without Borders) from an outlying village with an ‘open abdomen’ after a Caesarean Section conducted in the local village by local staff and a second operation for severe infection. Exploratory surgery at HEAL Africa Hospital found that the infection had been due to the patients womb being sutured to her bladder. Neil reports seeing similar cases such as this from outlying areas. The patient underwent a further operation. She is now doing well, as is her baby who she is feeding. Neil continues to be involved in meetings with HEAL Africa staff e.g. focussing on exploring further ways of Australian support for development of additional community development programs. elections are scheduled later in 2017. Hope remains for opportunity in DRCongo for growth and development.